Daigo Umehara has built a legacy on fearless calls, and he added one more to his story at Stunfest in Rennes, France last weekend. Down on life and with his back against the wall, the fighting game legend shot off a clutch Flash Kick to catch his opponent off guard and steal a victory with one choice. 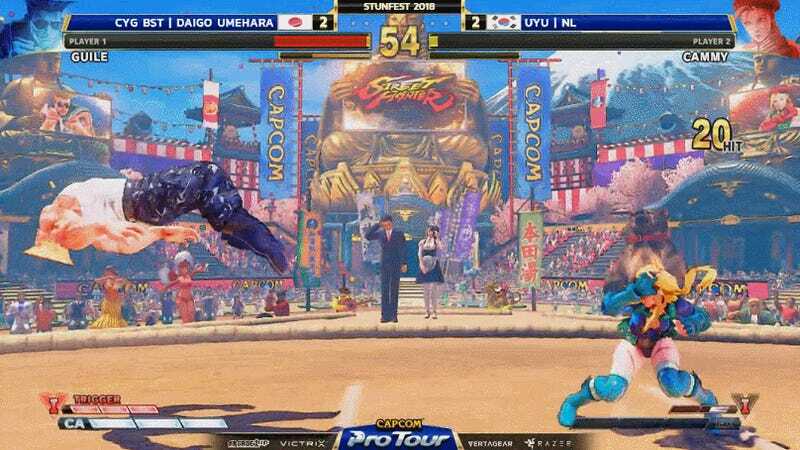 The fighting game community refers to this risky maneuver as the “Umeshoryu,” a portmanteau of Daigo’s surname and Street Fighter’s ubiquitous Shoryuken. He has a reputation for landing these psychic uppercuts—seemingly random attacks that carry a harsh tax if they miss entirely or get blocked—over decades of competition. And, as he showed at Stunfest, Daigo isn’t ready to give up on this technique, even when using characters that don’t technically have Shoryukens in their toolset. Since dropping Ryu, Daigo has returned to the upper echelons of Street Fighter V competition with Guile. In addition to his Sonic Boom barrage, the original world warrior’s iconic Flash Kick does wonders at keeping opponents out of his personal space, and it was this attack that Daigo called on to save a round against South Korean powerhouse Geon “NL” Sim. After throwing his opponent into the corner, it appeared as if Daigo had the round all but sealed up when NL used a wakeup super to catch Daigo unaware. This play essentially switched their positions, putting Daigo on his back foot. With both players’ health bars dwindling, the round was about to be decided. As NL rushed in to finish him off, Daigo performed a quick rise to limit the amount of time he stayed on his back after the super and, to the distressed cries of the commentators, threw out an EX Flash Kick. 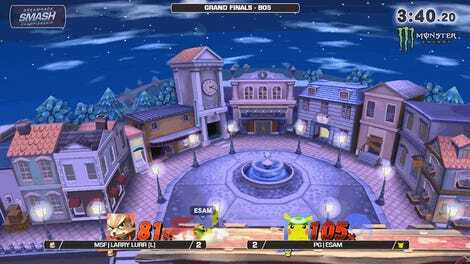 He bet the entire round on this one move; if it hit, he would pull ahead in this losers bracket match, but if it missed or was blocked, the lengthy recovery meant NL would have all the time in the world to punish. But, as is often the case with Daigo, the attack landed and the round was his. He eventually went on to defeat NL by a final score of 3-2. The legend of the Umeshoryu is an important one. While it’s true that Daigo is a fighting game master, capable of pulling off incredible feats of execution and technical prowess, his most significant claim to fame is his capacity to quickly understand a situation and act on it. Sure, going to training mode and nailing down lengthy combos is important when it comes to competing at an elevated level, but sometimes all you need is the ability to read the opponent and the courage to bet it all on one move.